Cote de Pablo is a Chilean-American actress and singer, born November 12, 1979, in Santiago, Chile, to Francisco de Pablo and María Olga Fernández. She has a younger sister, Andrea, and a brother, Francisco, who works as a DJ. Born as María José de Pablo Fernández in Santiago, Chile, she moved to the United States at the age of ten, where she studied acting. 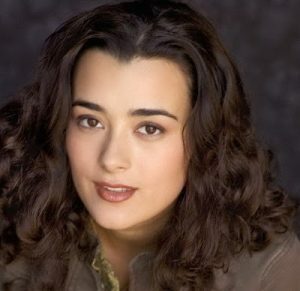 She is best known for her starring role as Ziva David in the CBS police procedural drama series NCIS from 2005 to 2014, for which she won an ALMA Award. She was in a relationship with actor Diego Serrano. They broke up in June 2015. *She attended Arvida Middle School in Miami, Florida. *She attended Carnegie Mellon University in Pittsburgh, where she studied music theater and graduated in 2000. *She moved to the United States at the age of 10, where she studied acting. *Due to a childhood accident, she got a slit in her left earlobe. *She has injured her back and neck couple of times while doing kickboxing stunts for NCIS. *Her mother lives in Chile. Her sister lives in New York. Her father and brother live in Miami. Cote lives in Los Angeles.